I’m not sure I am quite as fast as she was at finishing my projects… But life is different in my day…In the 60″s life was a little slower and I think there was more time to do the things they loved and still accomplish all the other daily tasks with not as much stress. 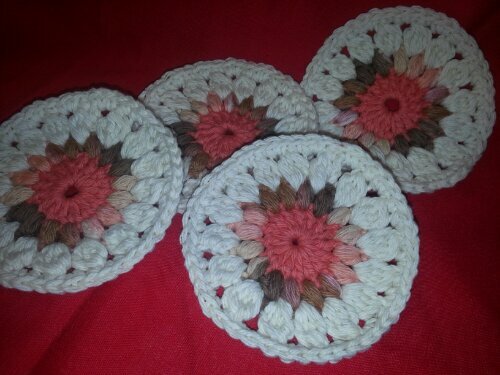 I have been working a couple of hours a day on my own crochet projects and it is truly my stress relief! 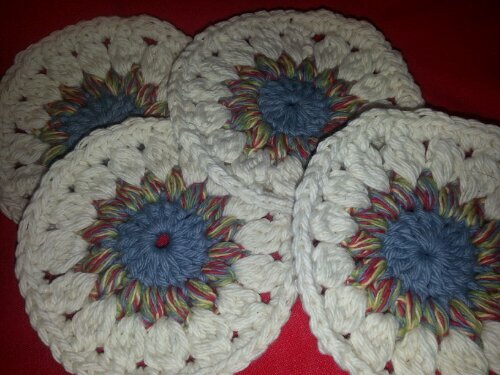 I love it… My Sunburst Granny Square Blanket is coming a long quite nicely… It’s about 1/3 complete in just a week and I am starting to see the vision coming together! Even with the other projects and activities I have been working on, I feel pretty good about my progress. One of my favorite things this week has been my time with my granddaughter Ryan Renee! I occasionally get her early in the morning and take her to school,,, It is way more fun this time around, when my children were school age it seemed to be so much more work… She loves to watch me crochet and pretend with a ball of yarn and a hook that she is making something beautiful too! 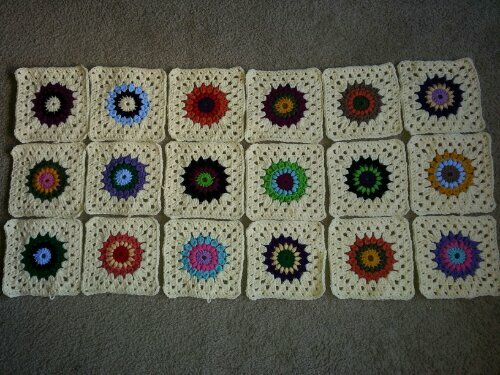 18 Sunburst Granny Squares Done! Just a little fun playing around with the squares! 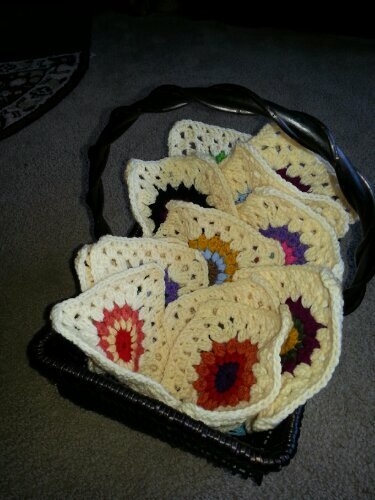 A basket of full of what will soon be a warm, cuddly blanket! I am really hoping to have many hours to work on my blanket over the upcoming weekend… A run to the yarn store is in order for more cream yarn… And maybe some yarn for the next project… Love it! 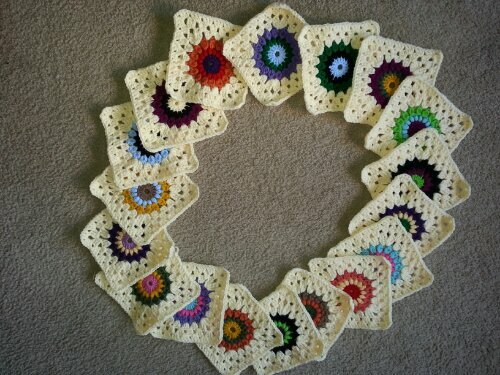 So here is to being a Granny working on a Granny!